He doubts Russia will release Ukrainian sailors soon. 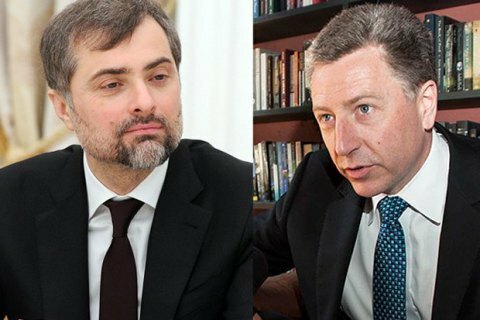 US Special Representative for Ukraine Kurt Volker has cancelled his December meeting with Russian presidential adviser Vladislav Surkov because of the Russian aggression in the Kerch Strait. "I suggested I visit Moscow this month. I was preparing for this trip when Russia attacked Ukrainian ships in the Black Sea," he told journalists at a video conference. He recalled that US President Donald Trump had cancelled his meeting with Russia's Vladimir Putin because of the Kerch Strait attack. Volker added that he decided to do the same for as long as Russia keeps Ukrainian sailors I captivity. "Unfortunately, things look bad… I would certainly hope that Russia may release the sailors as a kind of gesture before Christmas but there are no signs that this can happen now," he added.